Drop shipping is a great way to start selling products online without having to spend a lot of money to carry inventory. The idea works like this, you sell other people’s stuff online and once the sale is accomplished you notify the merchant and they will fulfill the order. 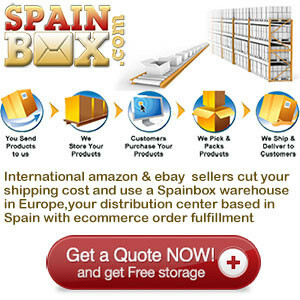 The process of drop shipping is in fact very simple. You first will want to find a company that drop ships a product that you wish to sell. You would then add those products to your website through some type of shopping cart software. At that point you would accept the orders on your website so you will need to have some sort payment processor such as a credit card processor or even a free option such as Pay Pal. Once an order has been completed on your website you will need to notify the drop ship vendor. This can be done a variety of ways; you will need to get that sort of information from the vendor. A few ways that I have had to submit orders in the past was by simply emailing them with the details, submit the order online and some requested that I fax the details to them. Again, you will need to get this information from the drop ship vendor. The process of choosing a new product to offer and finding a vendor that offers drop shipping is actually very simple. Worldwide Brands Review has put together a directory of vendors that offer drop shipping, all you need to do is type in a product and it’ll display vendors that offer products that you’re looking for. The only obstacle that you will run into is that they will accept just about anyone who requests to sign up with them. This can be a problem if you sell a product and then find out that the merchant is some kind of scammer. Worldwide Brands Review actually has a group of people that go through a verification process so you will know that they vendor is legit. When you choose a drop shipping vendor is sure to find out if they charge a drop ship fee. This fee is usually added to cover expenses related to shipping materials, handling or just the convenience of not having to purchase inventory. When it comes to pricing the products on your website you will generally stick with the MSRP. If you price it for more you will run into lost sales for those people who research a product before purchasing it. You definitely do not want to price it much under the MSRP because that cuts into your margin and with the drop ship fees you will be working for pennies. Worldwide Brands Review compiles reliable information about the drop shippers and then transfers it to its user.